Polaris conducts full data and network installations from extra data points to designing and planning complete integrated data installations. 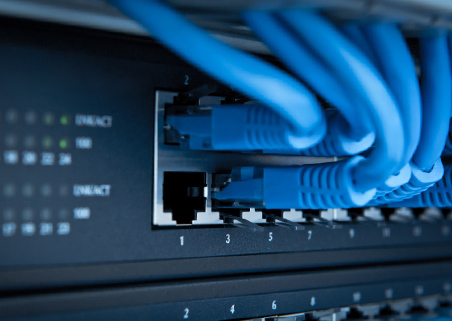 As approved Installers we use the LAN Connect Enhanced Network system for the cable infrastructure. LAN Connect 5E is a high performance UTP copper cabling system meeting the most demanding requirements of the generic cabling systems as defined in the latest International, European and UK standards for information technology cabling. The system provides a guarantee of true 'Category 5 Channel' Nexans Warranty Data System and its' associated connecting hardware cable types. Each installed Category 5 / 6 / 6a, LAN Connect 5E channel carries 25 year performance guarantee that is valid from the completion date of an installation. Supporting products include a comprehensive range of patch panels, floor/surface mount boxes, wall outlets, fascias, patch cords, cables and accessories all utilising the modular 808 Category 5 RJ45 connector. At Polaris Power and Data Ltd our engineers attend current training courses to be able to supply and install the LAN Connect 5E. All elements of the cable infrastructure installed by Polaris Power and Data Ltd are certified as a fully compliant category 5e system on completion. The system is covered by a Nexans 25 year component warranty. Following an audit of the installation of an independent assessor authorised by Nexans, the LAN Connect 5e Installation Certificate will be provided as part of the system documentation.